In 2008, the US economy went under in what is now known as the Great Recession. Stocks were down, unemployment rate was up and foreclosures were at a peak. This market crash was a stepping stone for a small percentage of the population, the real estate investors. While leveraging lower property values and foreclosure auctions, many hedge funds, developers, investment firms and private companies used this opportunity to gain a place in the real estate market and rebuild the economy. Today, there are communities in every urban metro in the US that is experiencing gentrification due to the influx of these investors in recent years. 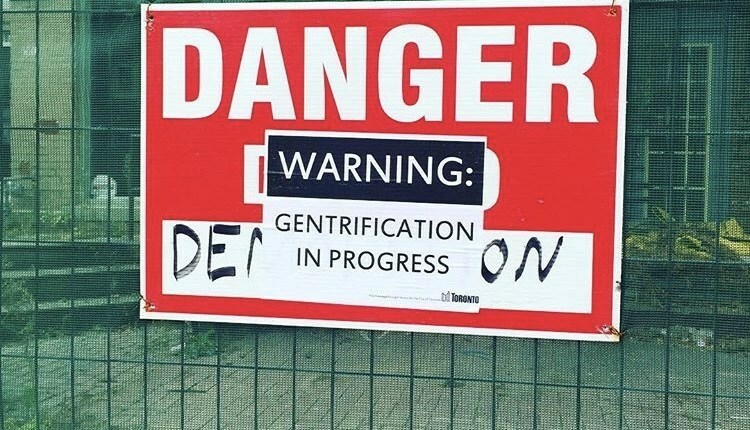 Gentrification is the newest socioeconomic disparity in America. Neighborhoods that were once affordable to blue-collar working class families, are now attracting wealthy middle class homeowners. Neighborhoods that were once notorious for violent crimes, are now chartered as historic and renamed to appeal the young hip residents. Neighborhoods that were once overlooked in city’s budget plans, are now provided a weekly farmers market. These new communities have pushed out some of the old residents with the increase in tax values, increase in rent, and neighborhood land development. Other residents have fought to keep their property in hopes of retaining some of the neighborhoods culture. However, what most people do not realize is that some neighbors they are fighting against were in fact the original residents of these communities. Prior to the Great Depression, in the 1930’s the federal housing agency played a role in redlining inner city neighborhoods which resulted in mass number of whites moving to suburban areas in order to qualify for home loans. According to data from the National Community Reinvestment Coalition the affluent white middle class moved out of the inner city and the minority population were denied home loans and pushed into these urban metro areas. Eventually in the 1960s and 1970s factories moved out of the inner cities and closer to areas where white communities were. This caused spikes in unemployment rates for blacks who were not able to get to work in the suburbs. In turn, the inner city communities took a huge decline. The public housing communities that were built to house poor minorities were not being reinvested into. The buildings were falling apart, drugs were infiltrated, and crime was unstoppable. In the 1990s, President Clinton signed two bills into law that would be the beginning of reforming inner cities back to what they were originally, neighborhoods for affluent middle class. These bills were “One Strike” where a resident of public housing was evicted for any accusation of crime and “Hope VI” where 166 cities were granted funding to demolish public housing and rebuild mixed-income housing. The neighborhoods where public housing once stood, now serve only 42 percent of the mixed income housing and has created a severe affordable housing lack. The neighborhoods were public housing once stood, are now sites for city attractions and half a million dollar and upwards real estate. The neighborhoods where public housing once stood, are now gentrified neighborhoods with new occupants who are still trying to find their solace in it all. So whose neighborhood is it anyway? The white middle class lived in most of these urban areas prior to the 1930’s. The minorities and blacks have made these neighborhoods home and created culture in these areas since the 1950’s. The investors are simply looking to capitalize on opportunities that will help the economy. The standard of neighborhoods are usually held together by all of the neighbors. These new neighborhoods should be no different. Create community organizations with leaders from all represented classes, work together to make the community cohesive, and fight back against the government for tax and rent controls instead of fighting against each other.